The Fact.MR study finds that the latest technological trends are accelerating the rising number of game-changing actigraphy sensor and PSG devices being launched across the world...………..
New Delhi: The US$ 1.78 billion actigraphy sensor and PSG devices market is on course to grow at 4.3% in 2019, according to Fact.MR’s latest analysis. 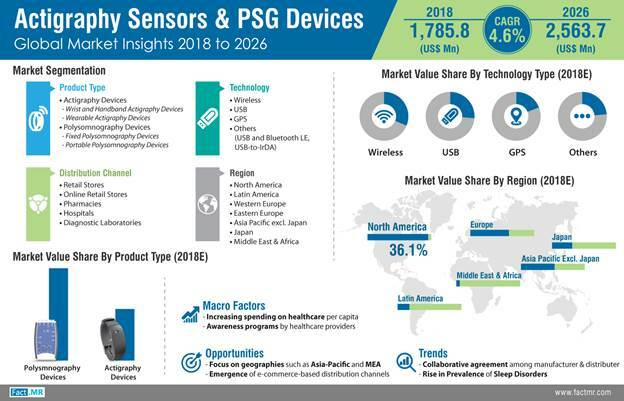 According to the study, actigraphy sensor and PSG devices market remains a highly consolidated landscape, with Tier I companies maintaining their hegemony despite the foray of new entrants. According to the study, as a result of the convergence of healthcare and technology, new medical technology (MedTech) products are gaining ground. Growing consumer awareness about—and inclination towards—technologically advanced actigraphy sensor and PSG devices has attracted both, tech industry leaders and startups, to enter the healthcare industry with more innovative actigraphy sensor and PSG devices. “Ongoing developments and research in the field of sleep disease diagnostics and management reflect in the huge scope of innovation in actigraphy sensor and PSG devices. New entrants are aiming to capitalize on potential opportunities in the actigraphy sensor and PSG devices market by jumping on the technology bandwagon,” says senior research consultant, Nandini Choudhury, from Fact.MR. Increased prevalence of sleep-related problems as well as life-threatening sleep disorders, such as sleep apnea among adults as well as children is driving the use of high-tech sleep diseases diagnostic tool. This is expected to have a significant impact on the dynamics of the market in the upcoming years. Manufacturers in the actigraphy sensor and PSG devices market are integrating next-generation technologies, such as wireless technologies in to improve the accuracy and reliability of the devices and ultimately to maintain strong foothold in the market. The Fact.MR study finds that the latest technological trends are accelerating the rising number of game-changing actigraphy sensor and PSG devices being launched across the world. Wireless and USB devices accounted for more than half the revenue share of the global market in 2018, according to the study. Owing to the constant advancements in the wireless technologies, the trend of growing supply and demand for wireless or USB actigraphy sensor and PSG devices is likely to persist in the foreseeable future. 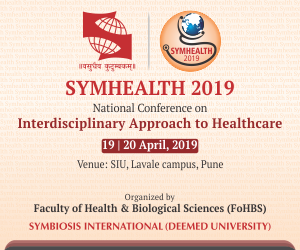 Furthermore, growing penetration of wireless medical devices and diagnostic tools in the healthcare industry in developing countries is creating lucrative sales opportunities for stakeholders in the market. The study finds that polysomnography or PSG devices hold the largest, nearly 65% revenue share in the actigraphy sensor and PSG devices market, and the trend is likely to follow through the coming future. Polysomnography provides a detailed evaluation of sleep-related data when it comes to medical cases, which remains the primary reason behind the growing preference for PSG devices over actigraphy sensors. In addition, the clinical practice guideline by the American Academy of Sleep Medicine on use of actigraphy for sleep disorders have declared that “actigraphy is not a substitute for polysomnography in clinical circumstances”. The Fact.MR study predicts actigraphy sensor and PSG devices market will grow at an incremental 4.6% value CAGR through 2026. The insights presented here are from a research study on Actigraphy Sensors & PSG Devices Market by Fact.MR.